Open House August 4 from 2:00-4:00 PM EST. ABSOLUTE AUCTION! Listing Price is an estimation of bid price and not actual list price of property. 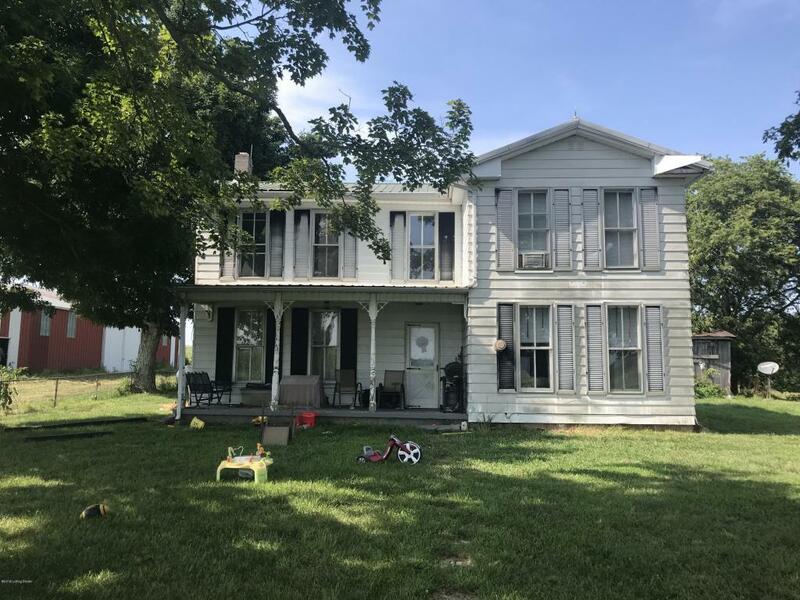 Older 2 story home (1782 sq. ft. Per PVA), 4 bedroom, 1 bath, kitchen/dining room, cellar, propane heat, 54 x 81 storage building with concrete floor, 54 x 105 storage building with concrete floor, shed 24 x 24, free-stall barn 114 x 40, milk parlor 18 x 24, 2 grain bins (19,000 bu, capacity), 2 silos 20 x 70 with feed bunk, window units, well water (county water available), 3 ponds currently in row crops with approximately 6 acres of woods and approximately 1,460 plus feet of paved road frontage. Listing provided courtesy of Farm And Home Realty & Auction INC. © 2019 Metro Search, Inc. All rights reserved.